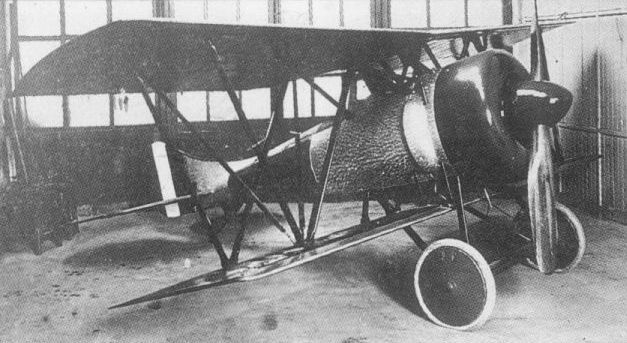 In 1918, Signori Adamoli and Cattani designed the smallest practicable single-seat fighter around the then most powerful rotary engine extant, the 200 hp Le Rhone. 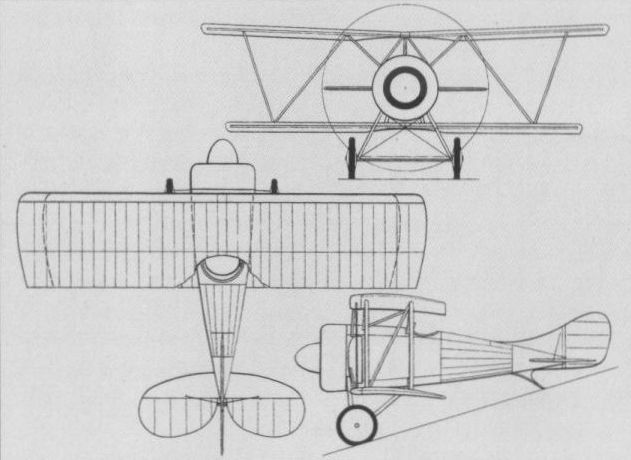 The fighter, which was of wooden construction with fabric skinning, was an unequal-span unstaggered biplane with Warren-truss type interplane bracing, unusual features consisting of the supplanting of orthodox ailerons with hinged and interlinked wing leading edges, and the use of rigid tubes rather than cables for actuation of the movable tail surfaces. The prototype was begun at the Farina works in Turin, but transferred to the Officine Moncenisio in Condove for completion. Armament comprised two 7,7-mm machine guns. When flight testing was initiated it was discovered that the Le Rhone engine developed only 160 hp and the fighter was thus seriously underpowered, development being abandoned after limited trials. The following estimated performance data were based on the use of a fully rated engine. Max speed, 186 mph (300 km/h). Empty weight, 1,036 lb (470 kg). Loaded weight, 1,488 lb (675 kg). Span. 28 ft 2h in (8,60 m). The Adamoli-Cattani fighter prior to flight test.